Website is the substance of your organization and its appearance chooses its early introduction on your customers. 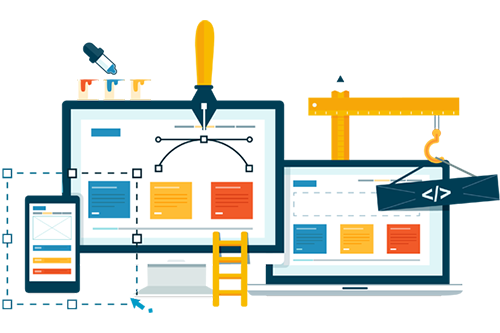 At Dfine, the web development company in Malappuram, Kerala, we understand the importance of website design and development. If you have a business, your website is one of your most important ways to reach and interact with public and it also helps to generate more leads for your business. A high quality website helps to attract visitors and provides you with a way to collect information. It is important when you are more concentrating on business through the web. D-fine web designing company in Malappuram, Kerala provides web designing and development services like software development, UI/UX design, corporate websites, content management systems, e-commerce websites, progressive web applications etc. D5n web designing agency Malappuram, Kerala has the specialized team to give you better UX/UI designs for your websites. Our main goal is to give your company an expert, marked website that'll separate your business from your competitors. A CMS or content management system is a software application that is used to create and manage digital content and content management systems are normally used for web content management and enterprise content management. At D-fine web designing agency malappuram we helps you to create content management systems. Now the world changed to Digital world. E-Commerce websites offers businesses a golden opportunity to offer their customers. A good e-Commerce website that adds excellent customer service facility and Active social media presence to get more business. D-fine web designing agency helps to create best dynamic e-commerce websites for customers. At Dfine web designing agency Malappuram, we develop Web applications and softwares for our customers. We promise that the our software development process are simple and focused to get the best results for our customers. Our professional and highly talented software development team offers customized solutions for your business ideas. Unlike traditional application softwares, Progressive Web Applications can be seen as an evolving hybrid of regular websites and mobile apps. This new application model combines features offered by most web browsers with the benefits of mobile user experience. D5n web designing agency helps our customers to build progressive web apps. It is essential for all businesses to have a website find your customers. These days most people are online and products and companies before they make a purchase, if you don't have a website for your business, you are missing out on all of this business. D5n web designing agency helps you to build suitable corporate websites for your business.